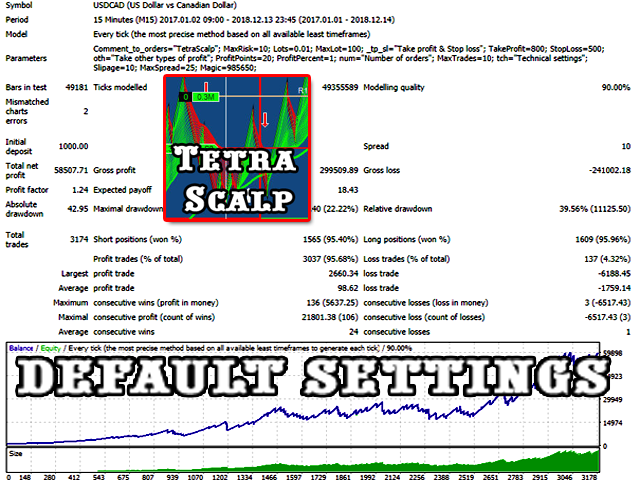 TetraScalp is an automated trading system using a smart scalping strategy. 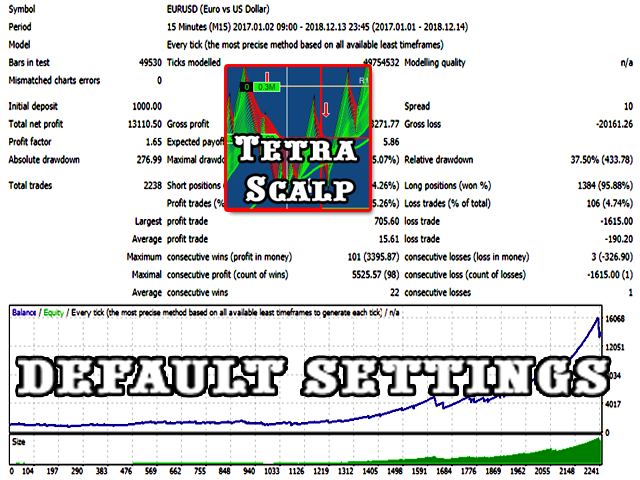 The basis of the system is fixing the fact of price consolidation in certain price channels with the definition of false punctures and straight-line trend movement. The complex mathematical algorithm of the adviser allows you to work completely autonomously without additional manipulations. 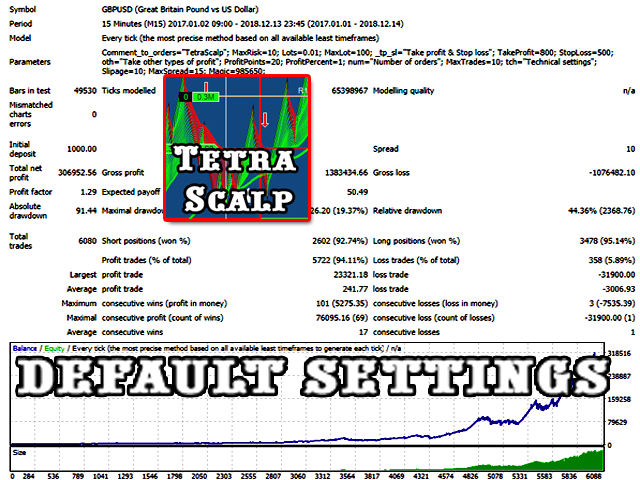 ECN-performance and VPS recommended. Recommended use: EURUSD 15m, GBPUSD 15m, USDCAD 15m.